Play and Learn Science is a free app (Android and iOS versions available) designed for kids to learn science concepts. Not only that, the app is designed to help parents help their kids learn science concepts. Play and Learn Science has four sections for kids. Each of those sections contains three activities related to science topics in Earth Science, Life Science, and Physical Science. Most of the activities revolve around the theme of weather. 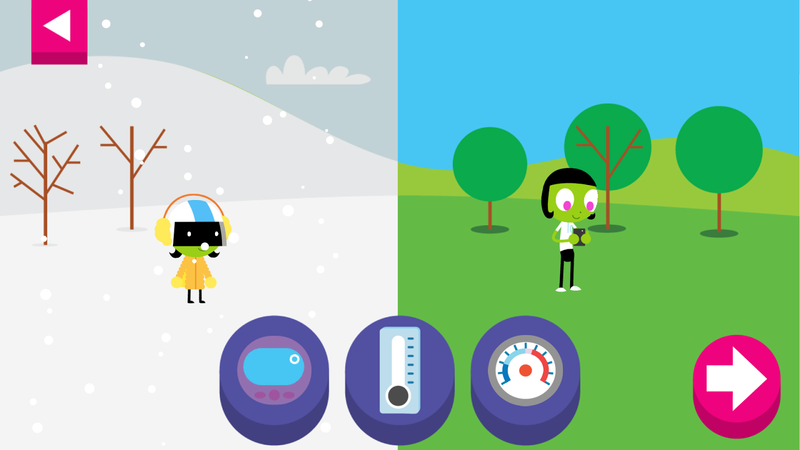 Through these activities kids can learn about why it rains or snows, learn how to read a thermometer, and how to dress for various weather conditions. One other topic in the app deals with the concepts of gravity, velocity, and frictions. Students can complete all of the activities in the app with little to no guidance from adults. The parents section of Play and Learn Science gives parents access to see what their kids have done in the app. When parents view what their kids have done in the app, they also see some suggested follow-up questions to ask their kids. Parents will also see suggestions for activities that they can do with their kids to reinforce the concepts taught in the Play and Learn Science app.